Every project we work on is "one of a kind" with its own unique challenges. No two situations are exactly alike. That’s why we approach each opportunity with a fresh set of eyes and an open mind. Here are examples of our most recent work. 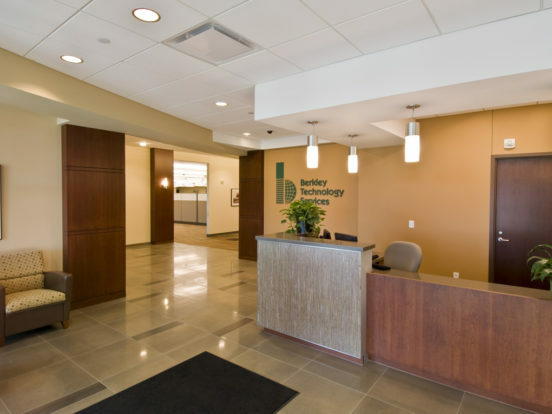 Berkley Technology Services (BTS) expanded operations into the Des Moines area in 2011, purchasing an existing 2-story building. Bluestone Engineering was selected as the MEP/T engineer for this project. 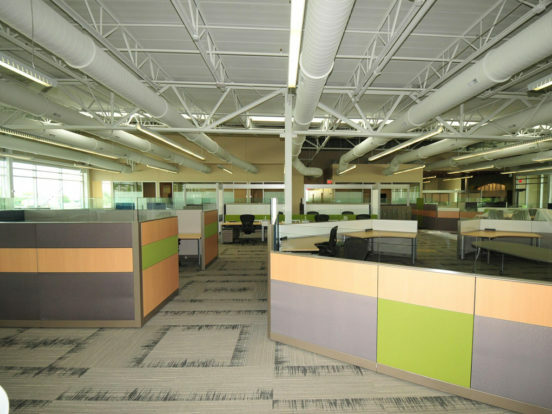 The project included the complete renovation of the 90,000 SF facility into an open plan office space. One of the main challenges for Bluestone was to develop a method to serve modular workstations in the space without using power poles. Bluestone devised a system that utilized pre-existing floor ducts supplemented by new in-floor raceway to develop a cabling pathway that was flexible enough to accommodate a variety of furniture configurations while providing adequate capacity for the high density of network and telephony outlets required by BTS. Another challenge was accommodating the higher density occupant count with the existing HVAC system. 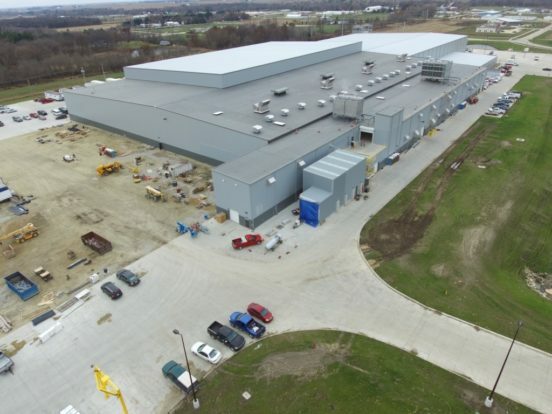 Bluestone’s mechanical engineers devised a plan that included significant rezoning of the existing air handling equipment to accommodate the higher staff density. 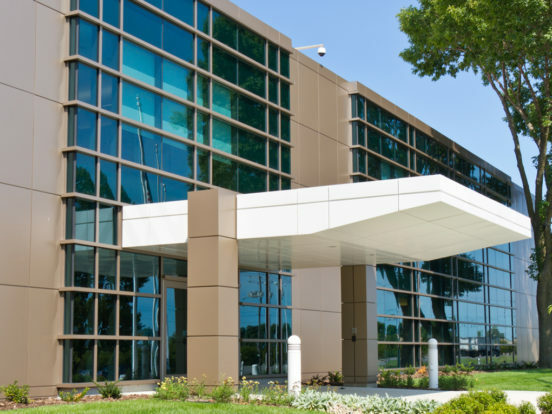 When Workiva decided to build their new corporate headquarters in Ames, IA, they selected Bluestone Engineering for the Mechanical, Electrical and Technology systems design. 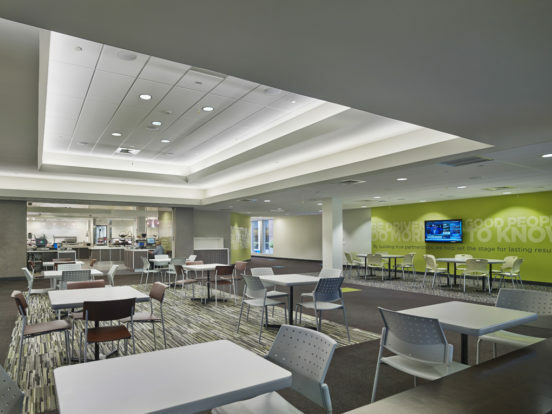 An innovative and rapidly-growing company specializing in on-line SEC filings, Workiva wanted to create a dynamic team-oriented workplace for their employees. 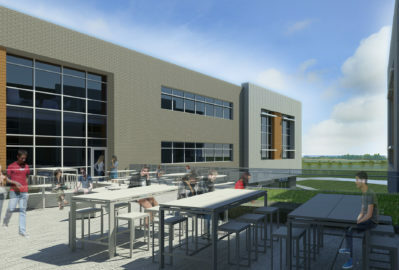 Some features of Workiva’s new home include: cafeteria featuring a stone pizza oven, state-of-the-art fitness center, and an open, modern design for the office space. Design system that allows easy reconfiguration of open office modular furniture. Bluestone designed a zone cabling infrastructure for telecommunications and power under a low profile access flooring system to allow for easy workstation reconfiguration. The lighting system was designed to provide a uniform lighting level at the work surface, regardless of workstation configuration. 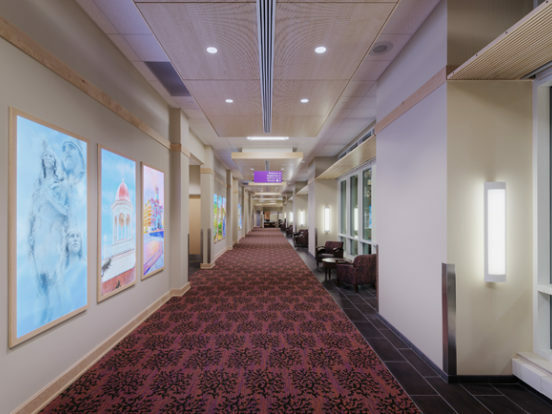 In addition, the lighting controls were configured to automatically shutoff in areas that are not occupied, eliminating wasteful over-lighting of space. Our engineers were able to adapt evolving scope requirements on a fast-paced project, never missing a deliverable date. 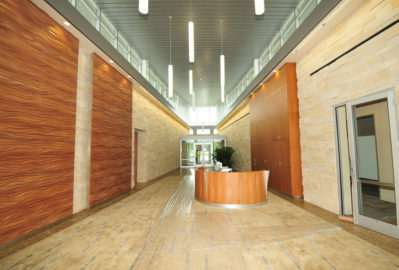 This project is an expansion of Workiva's existing corporate headquarters. 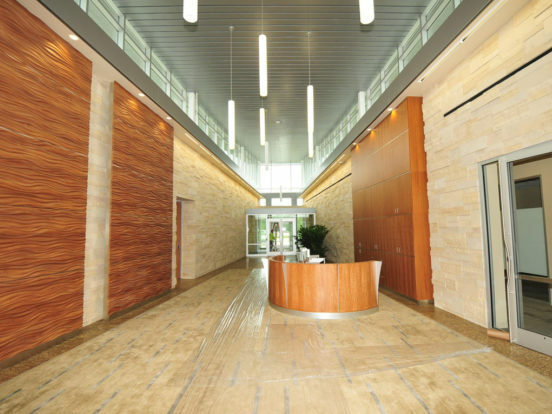 The expansion included open office space, meeting rooms, and a new entrance atrium. 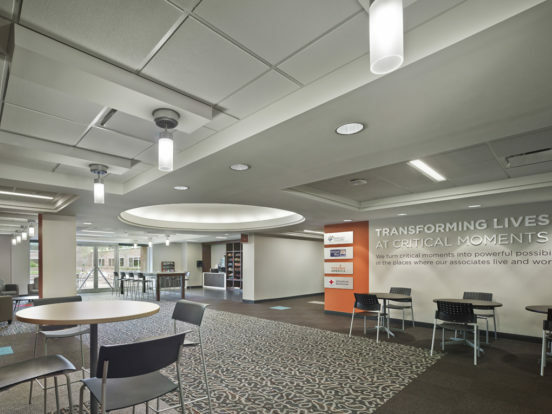 The project delivery method was a hybrid approach where the construction team was brought on early during design, allowing extensive collaboration between the contractors and design team. 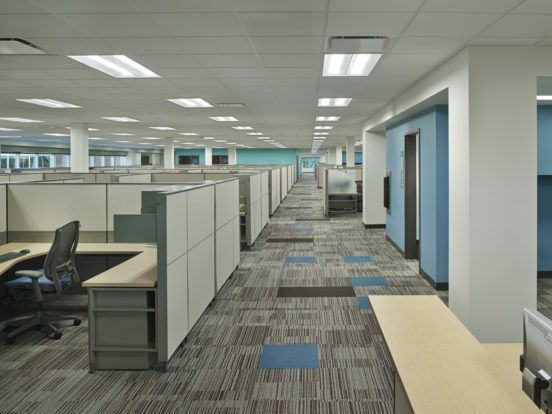 One of the unique features of this building is the low profile access floor system incorporated in the open office areas. This system allows for greater flexibility when modular furniture is reconfigured. 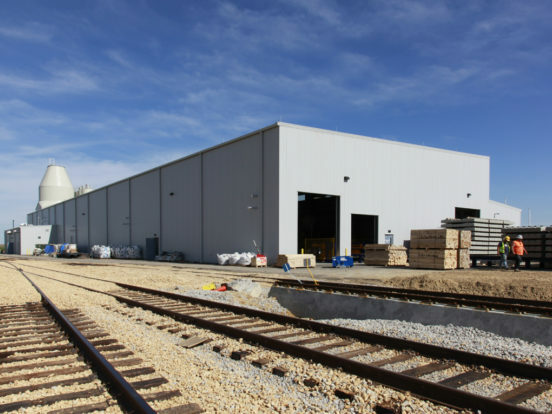 Construct the building while maintaining operations in the existing facility. This required Bluestone to design some building systems independent of the Phase 1 building. Mechanical Systems: Rooftop VAV with electric reheat and exposed spiral ductwork. Electrical Systems: New 480V electrical service with a diesel generator and UPS system for critical system back-up power. Technology Systems: Zoned technology cabling systems and the extension of the Phase 1 access control and IP based CCTV systems. 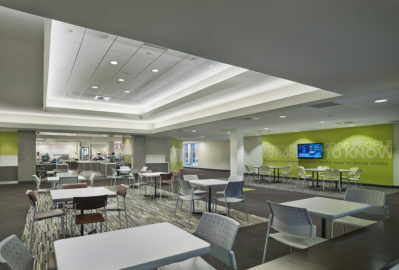 The project scope included a full renovation of the interior spaces, a repurpose of the original portion of the building into a conference center, a new employee entrance that included the addition of ~20,000 square feet of office space, and a refresh of the cafeteria, including a complete replacement of the existing kitchen area. One of the challenges for this project was to phase the work in a manner that allowed operations to continue in the building. 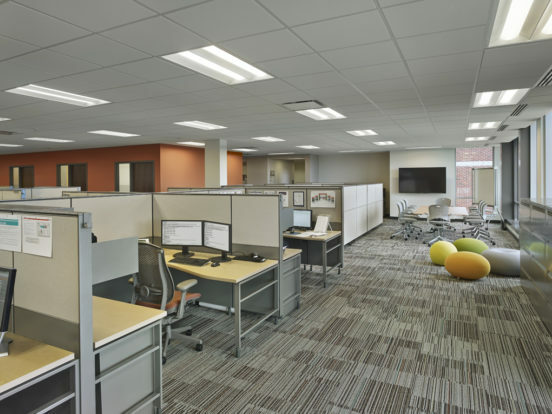 The team settled on a 4-phase approach and utilized off-site swing space to manage restacking of associate workstations as the building was renovated. Complete replacement of the building's HVAC system with new chilled water/hot water VAV system. Extensive upgrades to the building automation system. Complete replacement of the branch electrical distribution system. New lighting system with a programmable lighting control system and daylight harvesting. Integration of lighting controls and A/V controls in the conference center. Complete replacement of the network and CATV infrastructure. New access control and CCTV system. 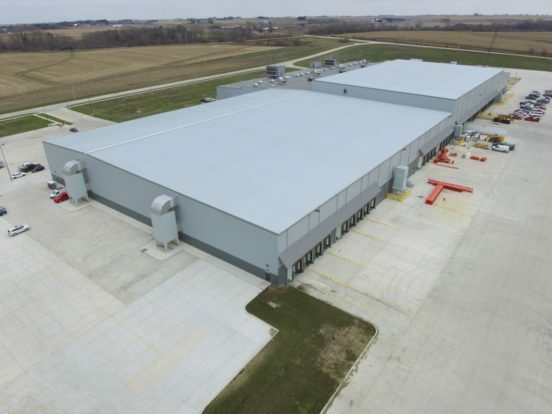 Bluestone Engineering was hired by Grinnell Mutual Reinsurance Company as the MEPT engineers for a new 32,500 square foot addition to their existing corporate headquarters building in Grinnell, IA. 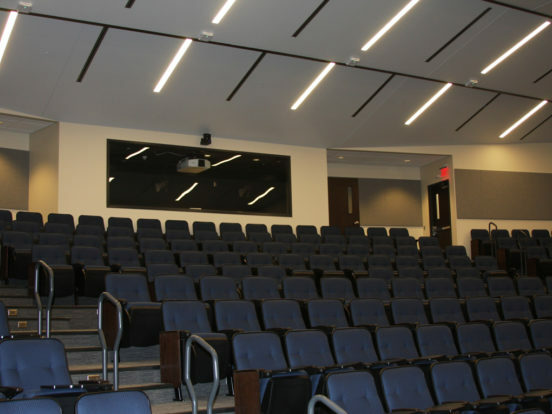 This addition included a conference center containing a 260-seat auditorium with stadium seating and LED lighting. 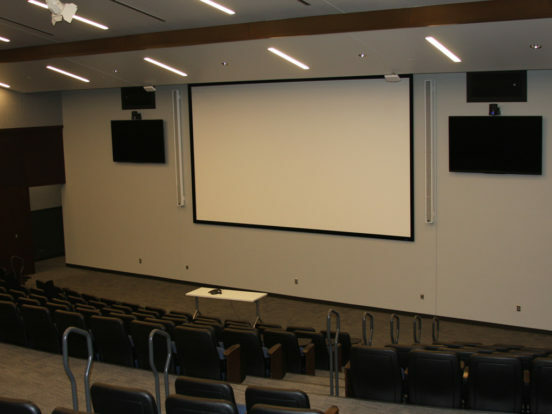 Other features of the conference center include nine (9) break-out conference rooms with operable partitions for maximum flexibility, as well as a dedicated video conference room. 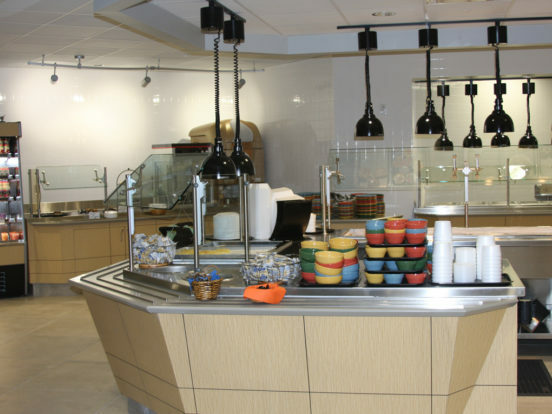 This project also incorporates a dining center featuring a full service kitchen and servery with seating for 250 people. 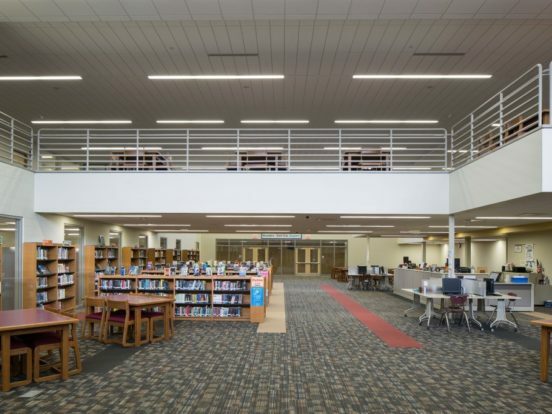 This project was an adaptive reuse of the former Ankeny Senior High School and YMCA. It was constructed in multiple phases while partially occupied, requiring careful coordination of systems to accommodate the phased nature of the project. 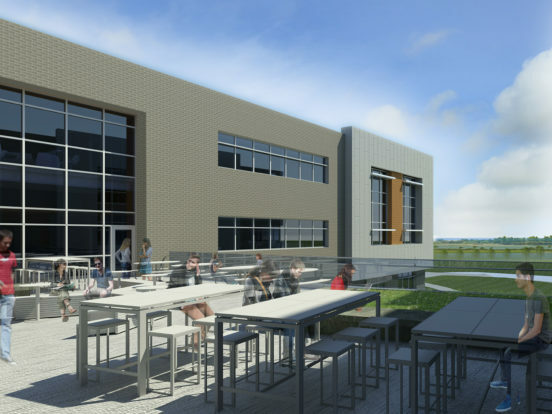 Bluestone evaluated several HVAC system types to determine the best fit for the project. 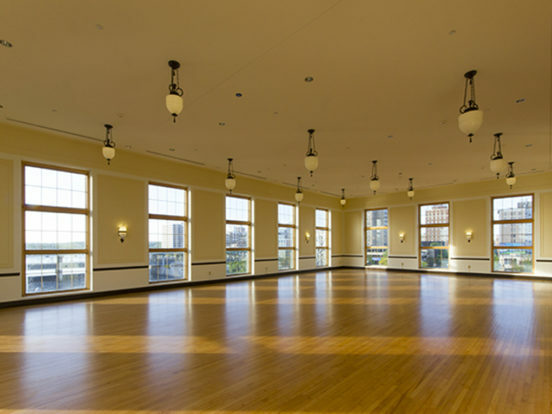 The building was converted from an all electric heating system to a hydronic system served by new gas-fired high efficiency hot water boilers. Pneumatic controls were replaced with direct digital controls. Storm water drainage was upgraded to provide secondary drainage as required by the plumbing code. Bluestone also addressed capacity and reliability issues with the existing electrical service, in the process replacing outdated distribution equipment. A new technology cabling infrastructure was put in place, including complete wireless access point coverage to accommodate the districts 1:1 goal for tablet and laptop computer use by students. 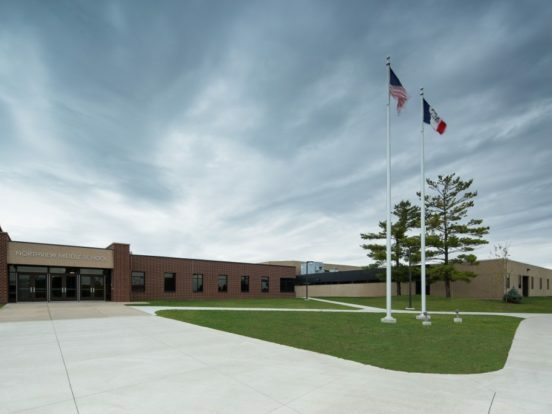 Numerous security and student safety improvements were implemented, including monitored, locking doors on all classrooms and a reconstructed safe entrance to the facility. The fire sprinkler system was also upgraded. 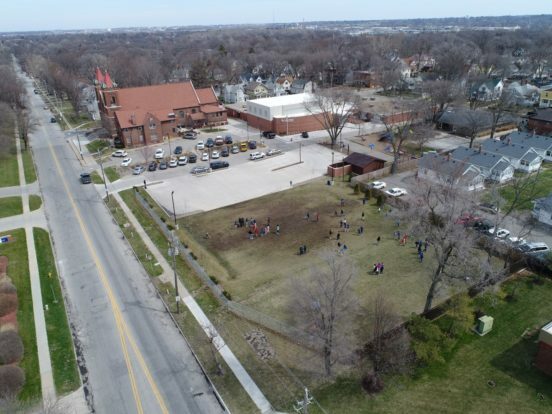 The existing gymnasium, restrooms and locker rooms were not meeting the school’s needs. 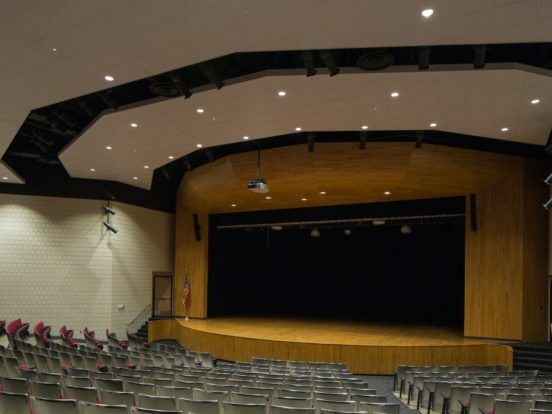 The school desired a larger multi-purpose room for school assemblies and student performances and community use. 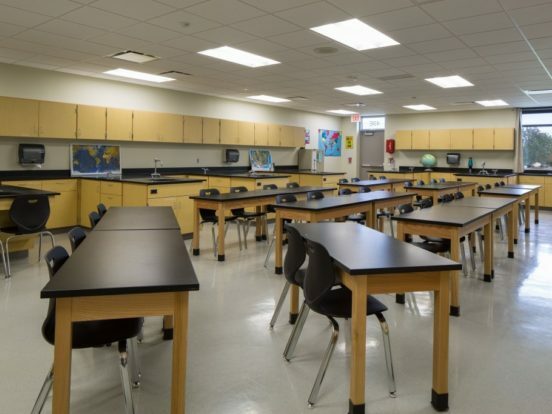 In addition, the administrative area needed additional space and a little more classroom space was also desired. Half of the existing gymnasium was demolished along with all of the existing locker rooms and main school entrance vestibule. An intermediate floor was added to the remaining north half of the gymnasium to create two levels. On the upper level, a storage mezzanine was created. Under the storage mezzanine, new, larger locker rooms/restrooms was added. 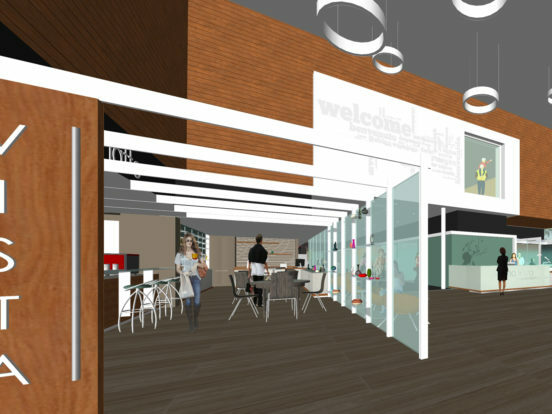 In addition, a reception area, entry vestibule, principal’s office and new classroom were added. 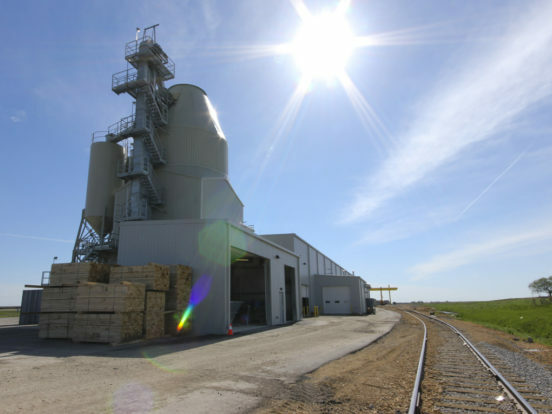 Bluestone Engineering provided complete MEPT/FP design. 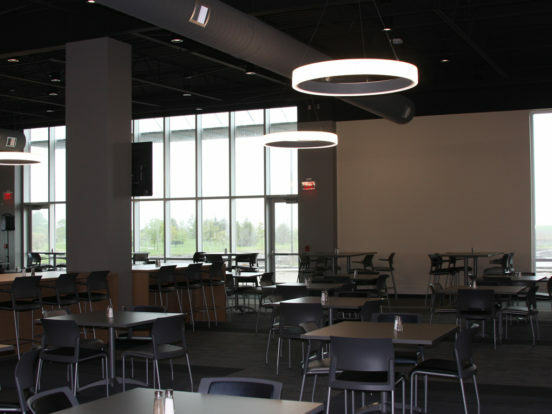 New, energy efficient LED lighting and lighting controls were specified for the new and renovated areas, plus the parking lots. 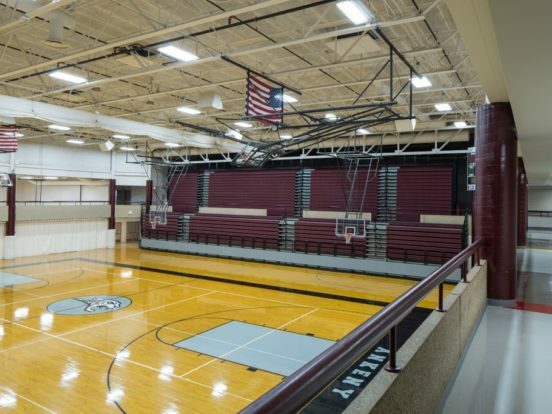 Rough-in was provided for a permanent and portable theatrical lighting system and sound system for the gymnasium. 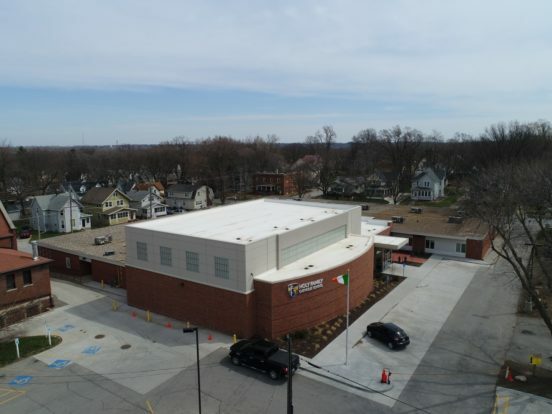 The existing fire alarm system was expanded to provide voice annunciation in the new and renovated areas of the building with the capacity to extend to the entire building in the future. A grease interceptor was installed underground outside the building to meet current WRA requirement. 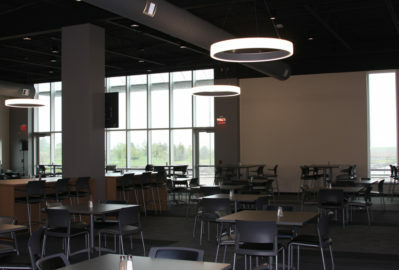 New HVAC units were specified for the additions. 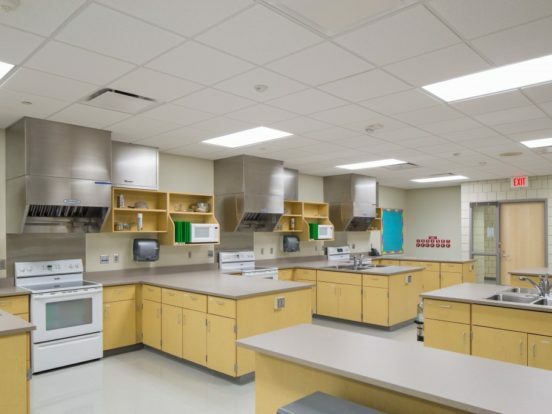 A fire protection service was installed throughout the new additions and renovated areas, but was designed to eventually serve the entire school. 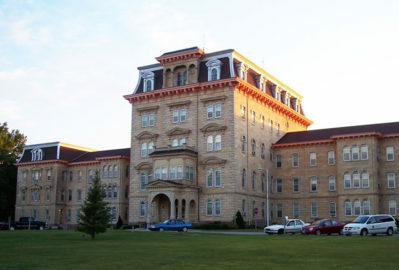 This project involved the replacement of the existing fire alarm system in eleven buildings on the Clarinda campus. 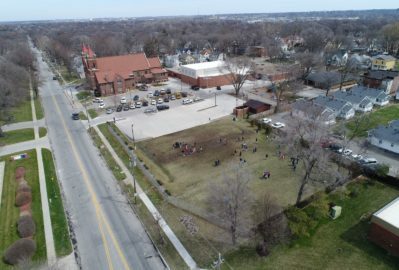 The buildings vary in size, occupancy (healthcare, education, business, esidential, storage), and age with the oldest building dating back to 1884. The new fire alarm system includes eight addressable fire alarm panels connected together on a fiber network, initiation devices, notification devices, elevator interfaces, HVAC interfaces, and linear heat detection cable in areas with extreme environments. 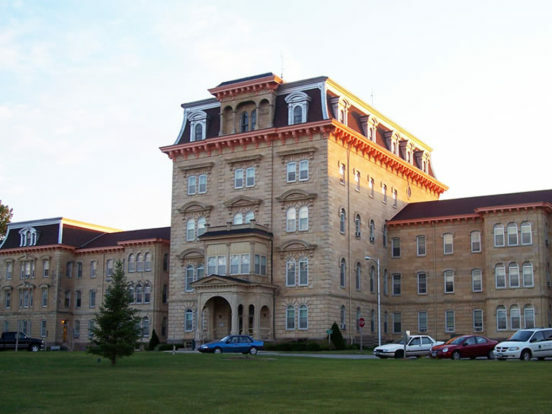 This project involved the replacement of the existing fire alarm system in twelve buildings on the Independence, Iowa campus. 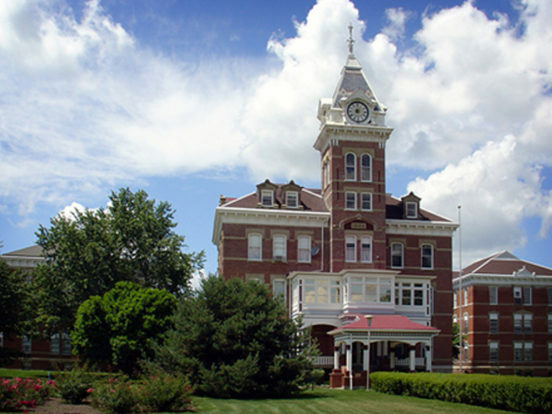 The buildings vary in size, occupancy (healthcare, education, business, residential, storage), and age with the oldest building dating back to 1873. The new fire alarm system includes eight addressable fire alarm panels connected together on a fiber network, initiation devices, notification devices, elevator interfaces, HVAC interfaces, and linear heat detection cable in areas with extreme environments. Six of the buildings also received new intrusion detection systems to replace the existing devices, which utilized the fire alarm system. Temperature monitoring of several refrigerators and freezers was also included to provide early warning to the campus staff in the event of equipment failures. 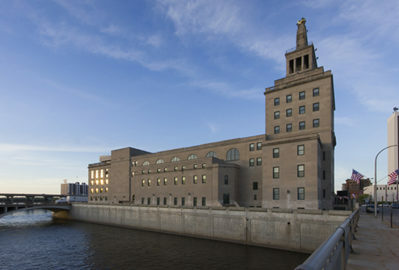 Bluestone Engineering was hired to design the mechanical, electrical and technology systems in this historic facility after it was heavily damaged in the flooding of 2008. 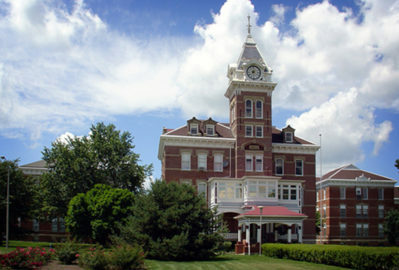 The building, which previously served as Cedar Rapid’s City Hall, was re-purposed into museum space, auditorium space, a restaurant and leased offices. 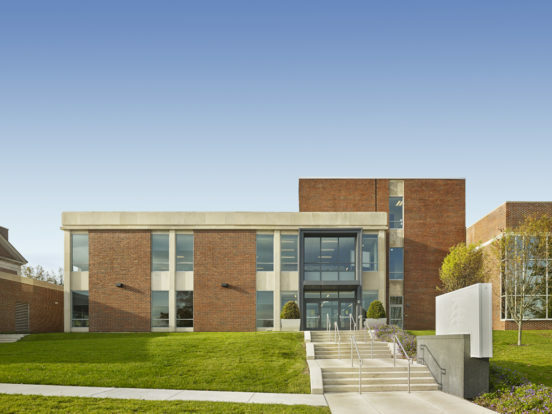 As part of the project, Bluestone designed replacements for the entire HVAC, plumbing, electrical and technology infrastructure for the facility. Special HVAC systems were designed for the museum to maintain specific temperature and humidity levels. 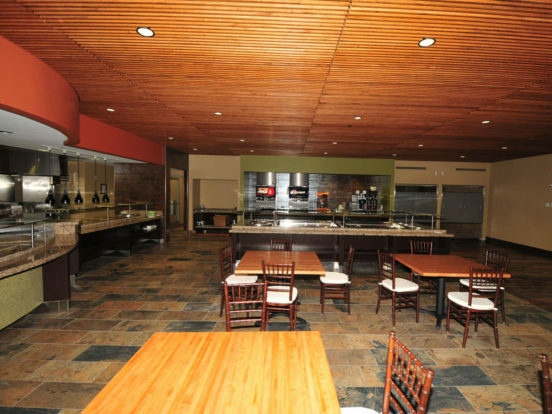 A new commercial kitchen was also added to support the restaurant and event catering. 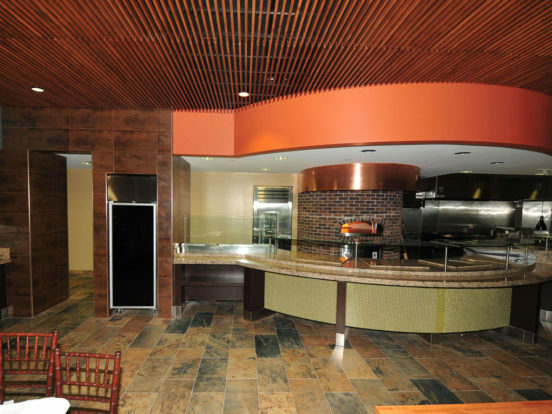 This project was completed in multiple phases. 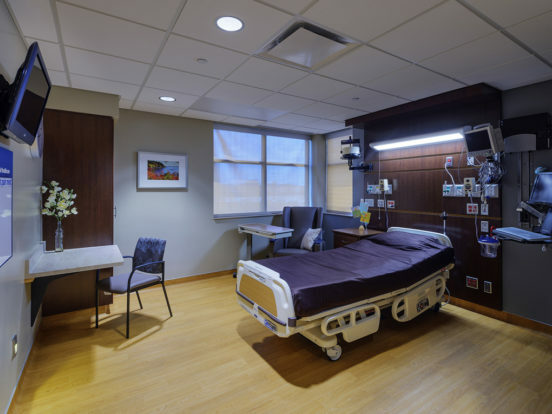 This project included the construction of a new addition to provide all new inpatient rooms, additional specialty clinic space, and a new main entrance with registration and support spaces. 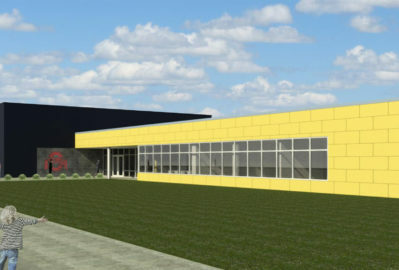 The design team began the process with a master plan to evaluate the existing facility conditions, and evaluate the current and future program needs of the various departments. 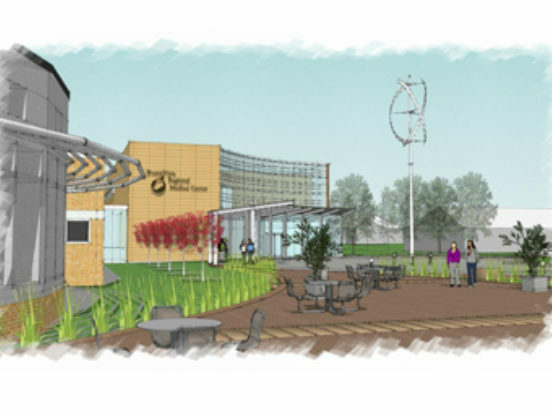 The first phase of the facility master plan involves a new two story addition housing eighteen inpatient Med-Surg beds, specialty clinic space, and a new main entrance with registration and a gift/coffee shop. 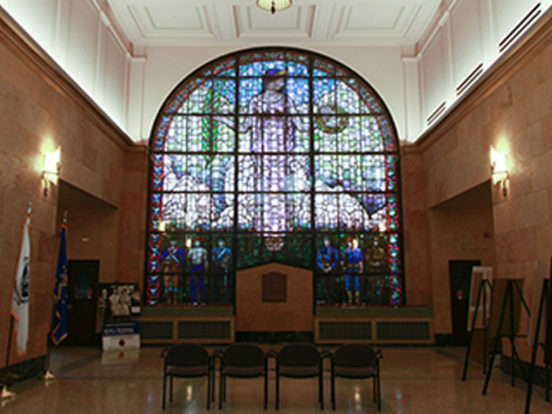 Renovations in the existing hospital include public dining and portions of radiology and the laboratory. 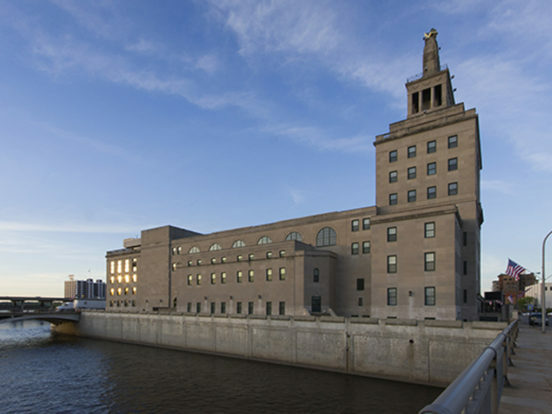 Infrastructure upgrades in the project include a new hot water heating plant to replace the steam plant, a new fire alarm system, and the removal of the old 1969 and 1977 distribution switchboards. Multiple independent projects were completed in conjunction with this project. One major project involved the upgrade of the existing chilled water plant. The upgrade replaced a failed chiller and provided additional capacity (future chiller provision) and reliability to serve the needs outlined in master plan. 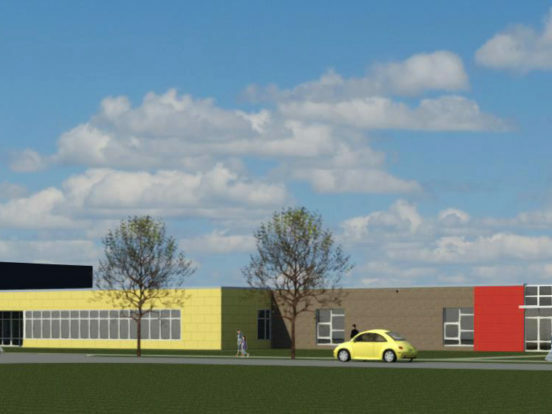 Other projects include a parking lot expansion, clinic space tenant infill, and renovation of an endoscopy room. RMC is a Critical Access Hospital. 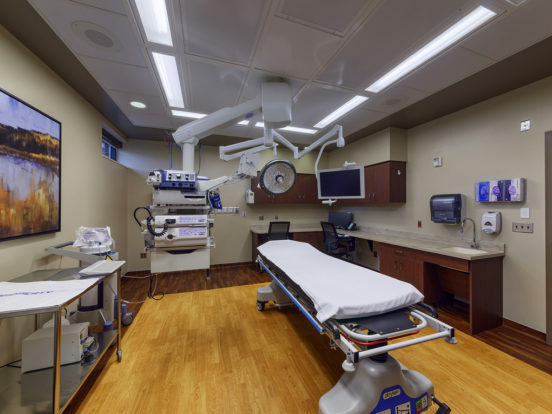 Following the recommendations of the facility master plan the hospital developed a project that included an expansion and remodel of the existing clinic and a new two-story addition housing twenty-five inpatient beds (OB, ICU and Med-Surg). In addition, the emergency department and the surgical suite were replaced. 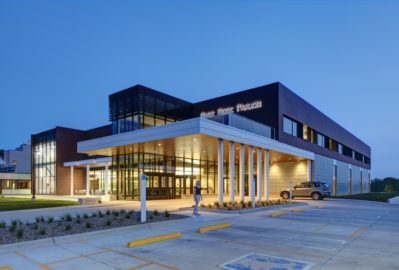 Upon completion of the addition, existing portions of the hospital were remodeled to serve pharmacy, PT/OT rehab, cardiac rehab, and other hospital functions. 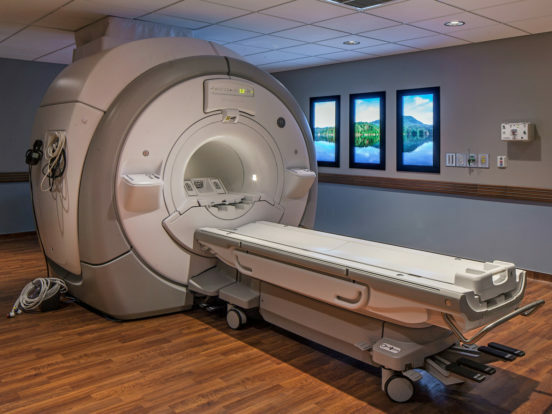 Major infrastructure upgrades included a new 1,000 kW emergency generator and associated distribution, a new chilled water plant, new medical air compressor and vacuum pump, and a new nurse call system for the entire facility. The old two-story patient wing was demolished at the end of the project. 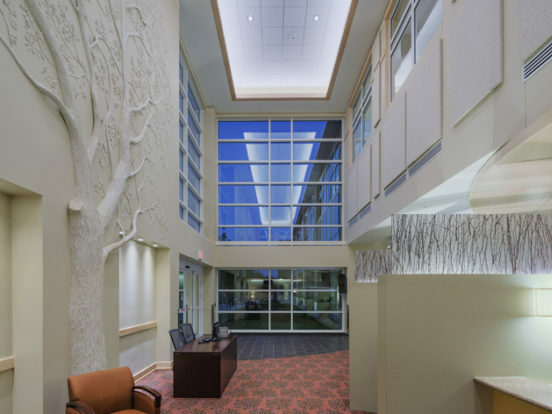 The project was completed in multiple phases over 30 months of construction while maintaining hospital operations. Detailed planning and coordination with the Construction Manager and the Owner were essential during the remodeling phase of the project. HVAC systems serving renovated areas were upgraded to comply with current Codes and to optimize energy efficiency while reducing maintenance. Ongoing renovations after this project have provided improved space utilization, expanded program space and new in-house services. 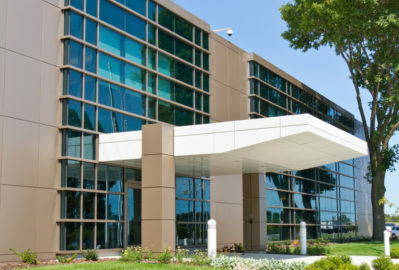 CCMH is a Critical Access Hospital. 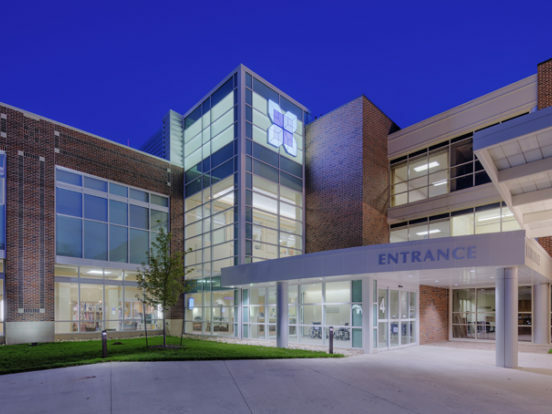 Bluestone provided design services to the Critical Access Hospital. The addition provides new surgery, endoscopy, obstetrics and inpatient care services. Several modifications to the existing central plant and hospital infrastructure were also completed. The design team worked together to provide several addition and infrastructure options for the owner. 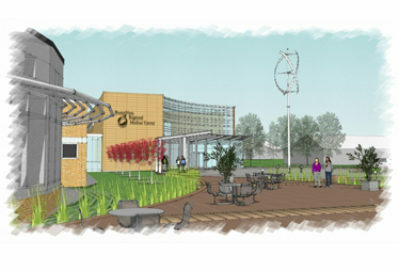 The team worked with the utility company’s energy modeling partner to develop payback scenarios for architectural, mechanical and electrical design options. The modeling effort focused on budget conscious central plant strategies that will serve the facility for decades to come. Construction of a new addition to provide all new inpatient rooms, emergency department, laboratory, main entrance and other support functions. 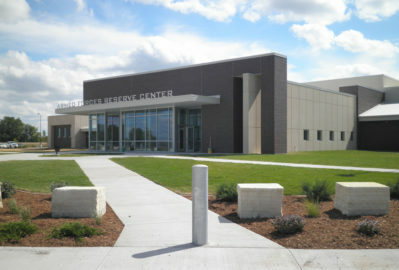 A new ambulance garage and energy center were also constructed as part of the project. 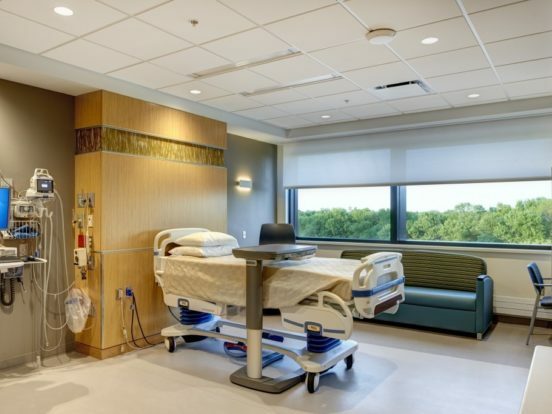 Due to an aging, inefficient, and inflexible patient care wing, the hospital pursued a new addition that would house all of their inpatient beds. 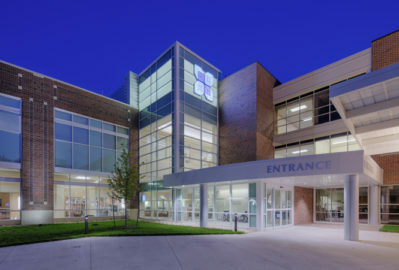 The design team worked with the hospital to develop a facility master plan that would allow the hospital to grow to the north over time and demolish the older buildings on the south side of the facility. 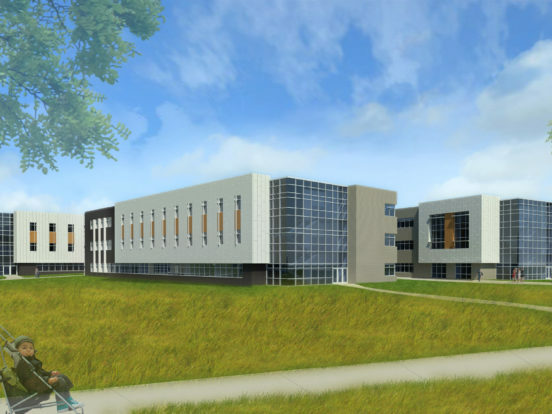 The first phase of the facility master plan involves a new two-story addition housing twenty-five inpatient beds (OB, ICU and Med-Surg), the emergency department, laboratory, receiving/ loading dock, business office and a new main entrance. 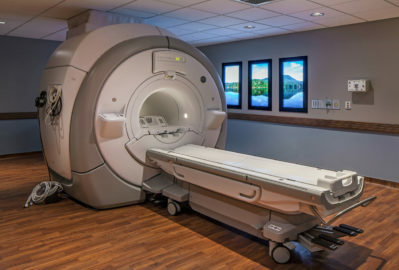 The remote energy center provides future flexibility for the hospital by not having the major MEP system land-locked in the center of the hospital. 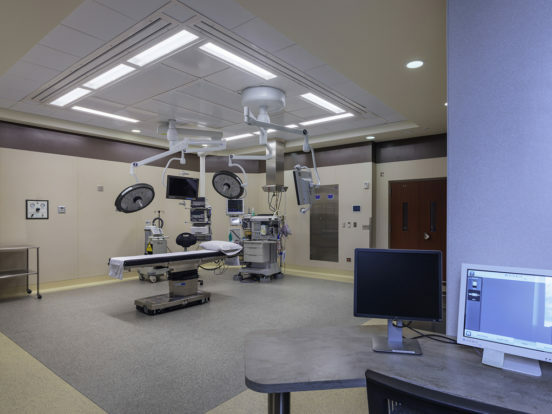 Systems at the energy center include a new 1,500 kW emergency generator and associated distribution for 100% back-up of the patient care areas of the hospital, a new chilled water plant, a new heating hot water plant, and a new electrical service. The old boiler/chiller room in the hospital is being reconfigured to serve miscellaneous mechanical and electrical needs and a portion of the space is being converted into a new data center for the hospital and clinics. 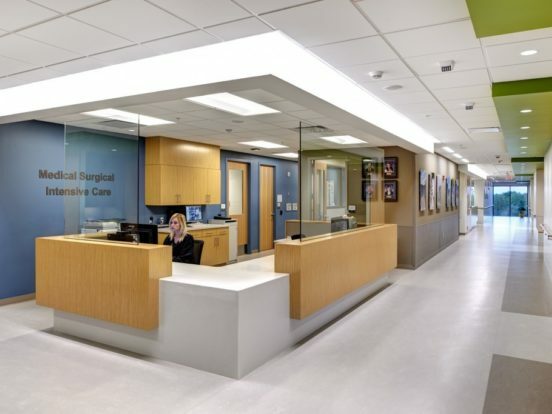 Detailed planning and coordination with the Construction Manager and the Owner were essential to maintain hospital operations as the addition wraps around a large portion of the west and north faces of the hospital. Significant phasing efforts were also required due to upgrades associated with the MEP infrastructure. BVRMC is a Critical Access Hospital. 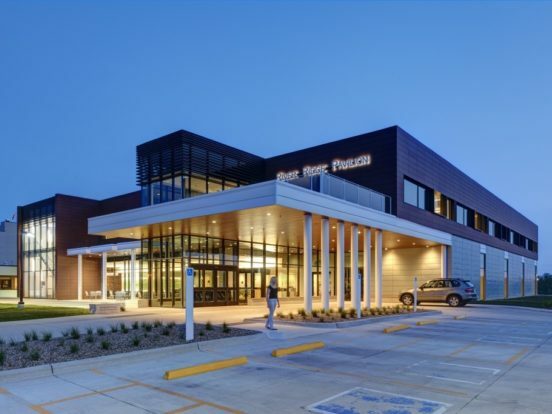 Bluestone Engineering was hired as the MEPT consultant on a major $21,000,000 renovation and addition for Lakes Regional Healthcare in Spirit Lake, Iowa. 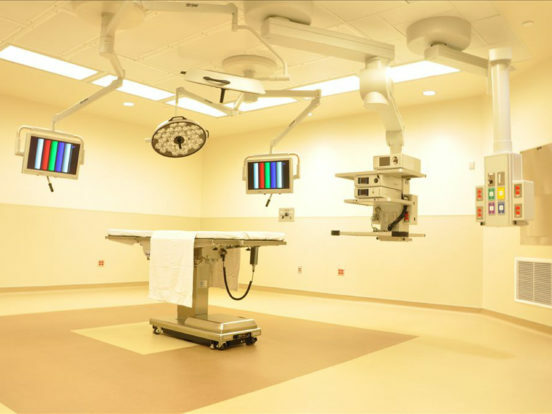 The project included a new Surgery suite complete with four (4) Operating Rooms and an Endoscopy Room. A new Obstetrics suite and Critical Care unit was also added as well as a new front entrance lobby. The project also included remodeling in areas. The MEPT scope included a major expansion to the hospital’s physical plant. 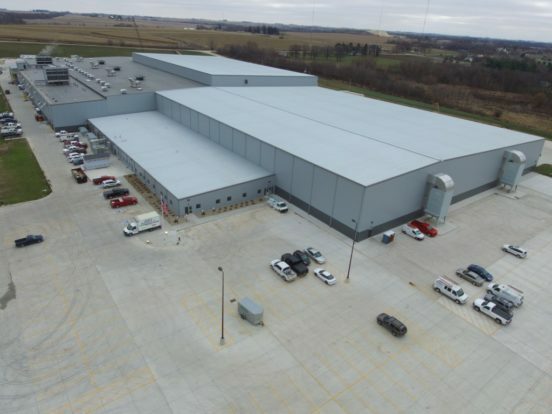 This addition included a new central chilled water plant, consolidation of the existing heating water distribution, a new 480V electrical service, and a new back-up generator and associated transfer switches. The existing Automated Logic building automation system was upgraded. The project was phased to allow operations to continue in the existing hospital with minimum interruptions. This required extensive coordination between the construction manager, architect, and facilities operations staff. 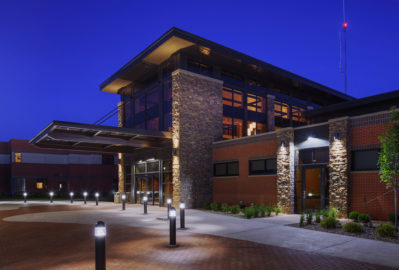 Bluestone Engineering also helped obtain significant rebates from the local utility company by incorporating energy efficient equipment and systems into the final design. 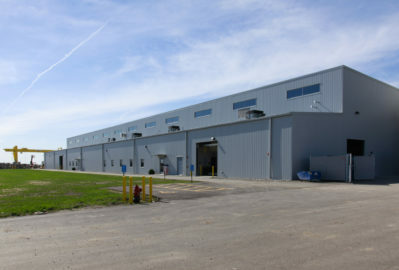 East Penn Manufacturing, is battery finish and distribution center. 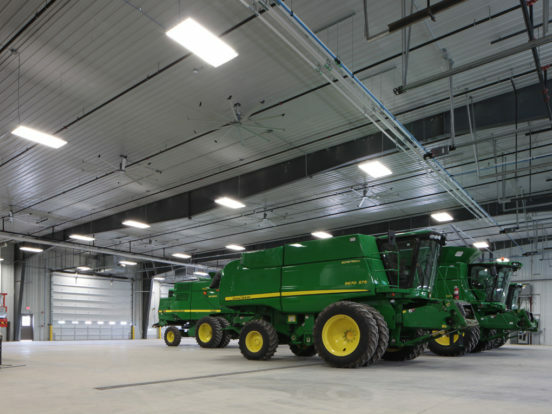 This facility was built on a 40-acre greenfield site. 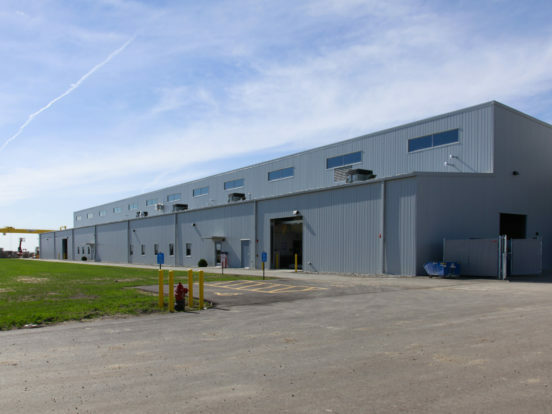 It is a 345,000 SF pre-engineered and conventional steel frame building with pre-cast concrete and insulated metal panel exterior. It was designed to FM global standards. 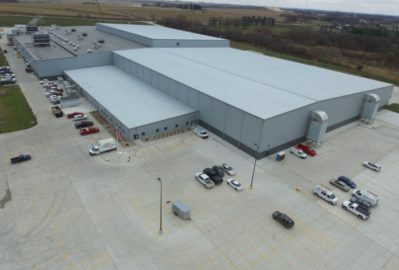 With 58,000 SY of concrete paving, 24 miles of pipe, over 200 miles of wire, 1,365 control valves, and 3,500 hours of BIM coordination and modeling...it is certainly a project for all involved to be proud of! 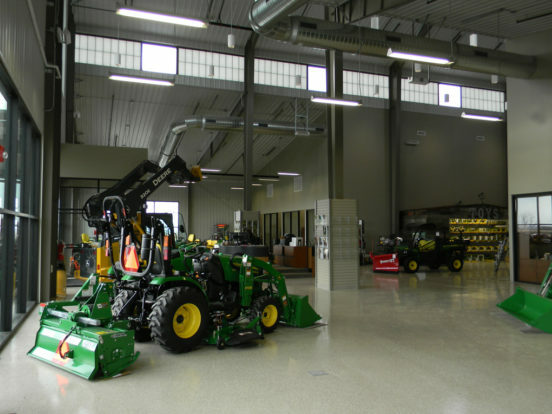 Van Wall is a dealer of John Deere, Polaris, Endurance Wind Power and other brands. 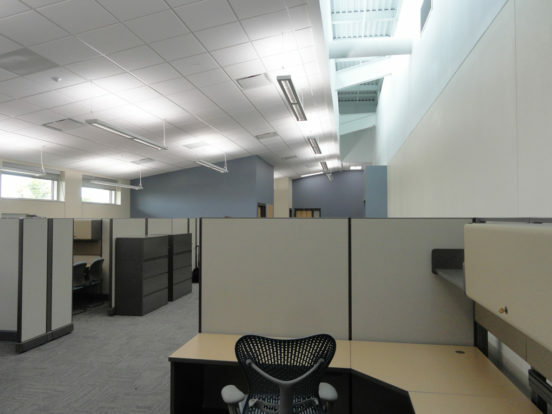 Bluestone was hired to complete the MEP design of their new facility. 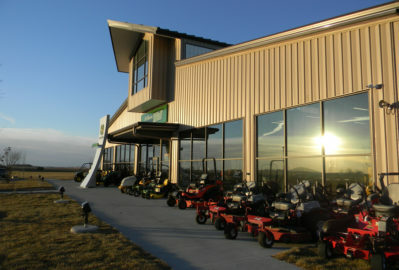 The retail building is a mixed-use space with a 47,000 square foot maintenance shop. 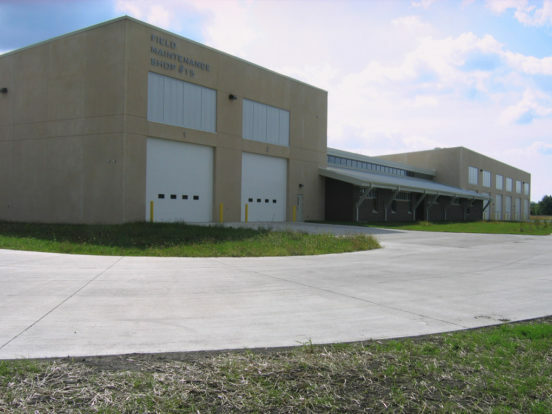 A 60’ x 20’ door was installed to allow the largest equipment to enter the building. 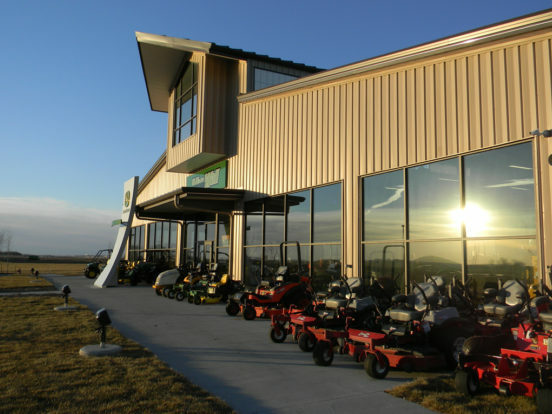 The remaining 20,000 square feet are dedicated to service, sales and parts storage. 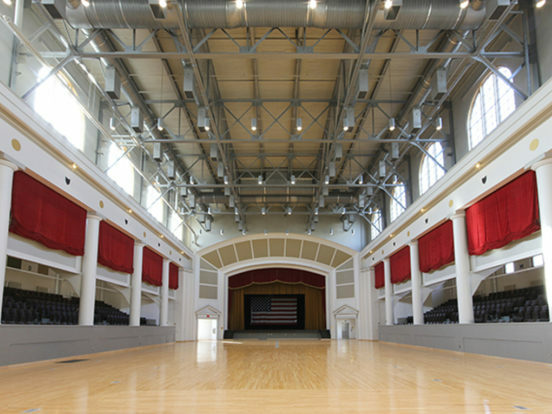 In floor heat was installed throughout the entire space and served by electric boilers. 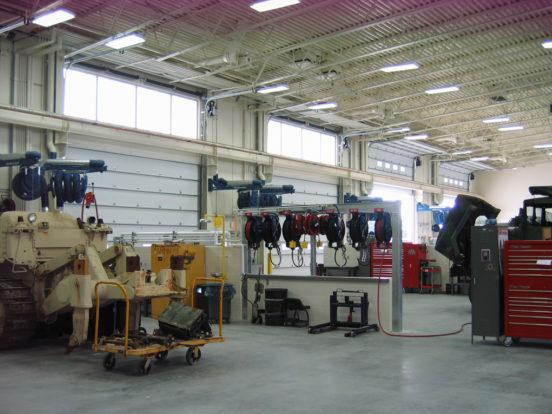 A shop ventilation system and large volume, low velocity ceiling fans were installed in the maintenance shop to keep the space cooler in the summer months without the use of air conditioning. Two free standing 50 kW wind turbines were located on site and are used to reduce the summer cooling and winter heating electrical load. 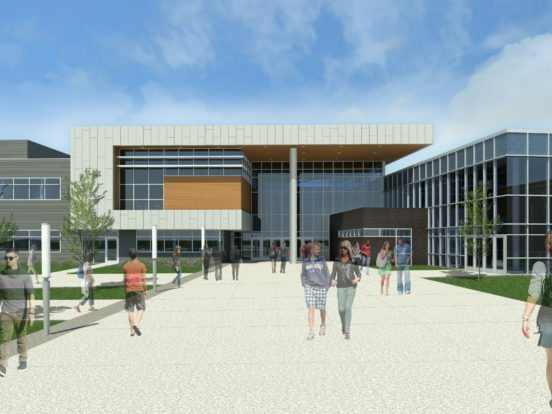 In early 2018, the Waukee School District passed a $100M+ bond referendum for a new 2nd high school in their district. 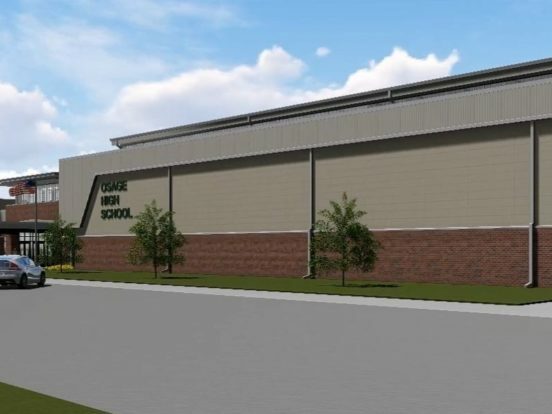 This project includes a new state-of-the-art 350,000 sq ft high school as well as new a new stadium and outdoor athletic complex. This project is currently “on the boards” and is due to be issued for bids at the end of July 2018. The project includes many challenging features for the engineering team. 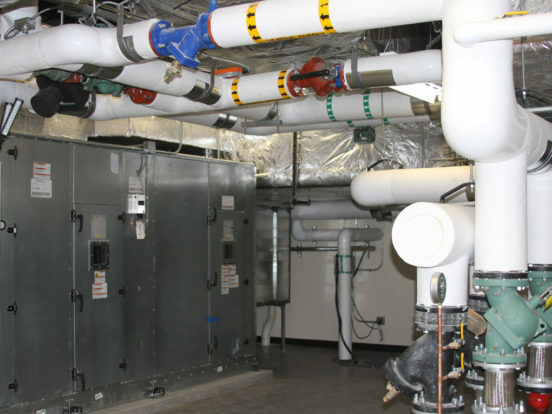 A variable air volume (VAV) HVAC system will be utilized along with a central chilled water system for cooling and a central hot water boiler system for heating. 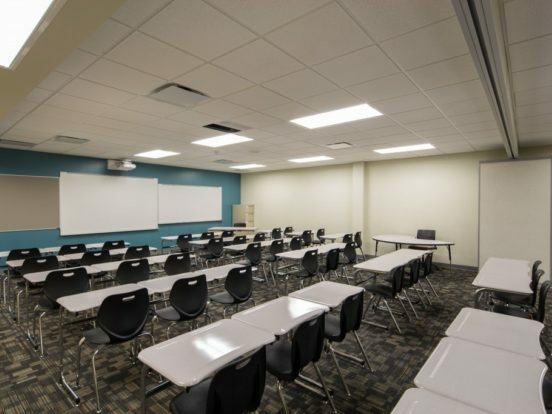 Even though this type of system has a much higher first cost, the District wanted to take advantage of the greater energy efficiency and greater comfort control this type of system offers. Bluestone is working with MidAmerican Energy to capture energy efficiency incentives to offset this system’s higher first cost. The district also wanted to move their central data center into this building. 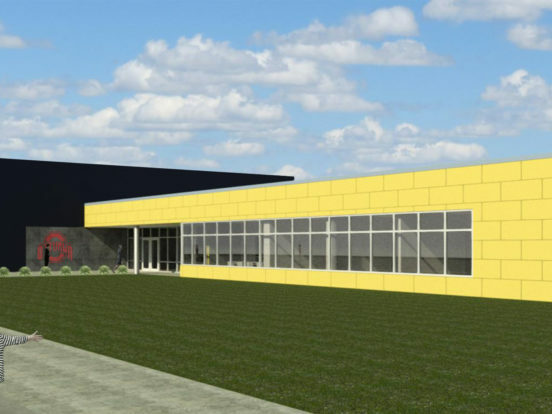 This required the design team to incorporate mission critical HVAC and power systems into the building design to insure uninterrupted, 24/7 operation of the data center. 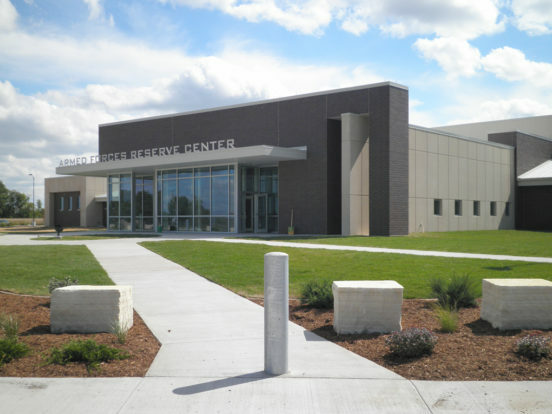 Bluestone was able to leverage the generator system used for the building’s FEMA required storm shelter for the data center’s back-up power source. 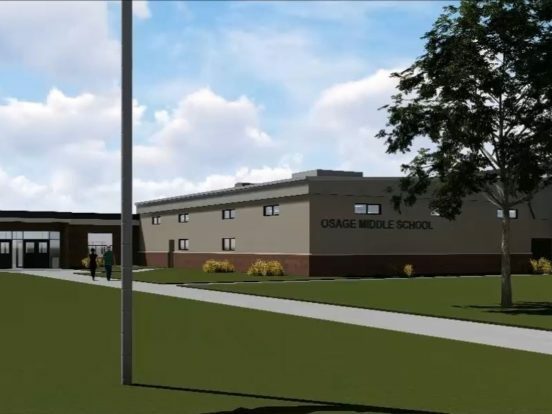 The Osage community school district created a master plan to address upgrades required for existing facilities. These improvements are being addressed in 3 phases over the next three years. 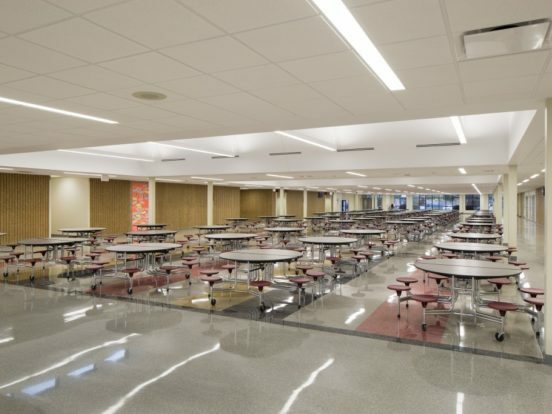 Bluestone Engineering was engaged by Atura Architecture and the district to design the mechanical and electrical system for these renovations and recently completed the design for the first phase, which included additions and renovations at the existing high school/middle school facility. 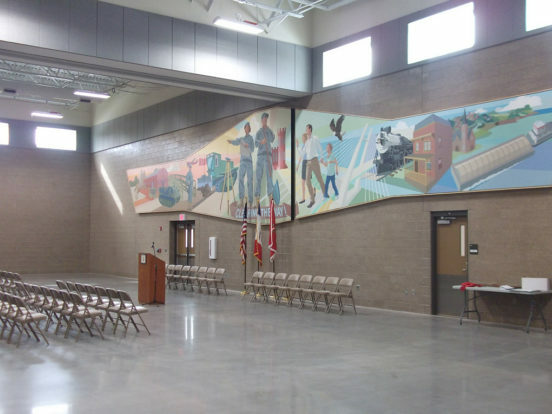 The district prioritized upgrading energy efficiency in this building. A new building automation system was designed to help better control the energy infrastructure of the facility. New high efficiency boilers were specified to replace the existing boiler system. The technology infrastructure in the building was incorporated to maximize WIFI coverage in the facility. 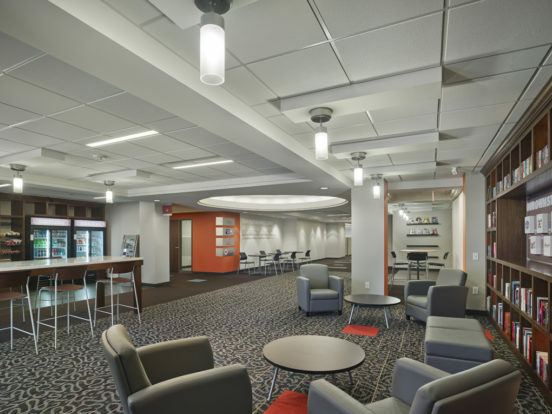 This infrastructure was also leveraged to address the communication needs of the building automation system, eliminating the need for a separate building automation system cabling infrastructure. 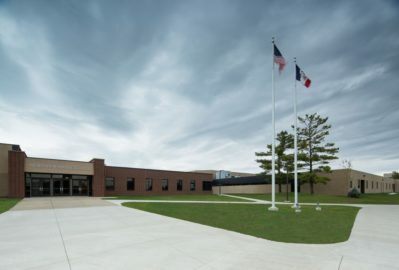 The Ottumwa Community School District Early Childhood Center is a purpose-built facility for Pre-Kindergarten and preschool students. 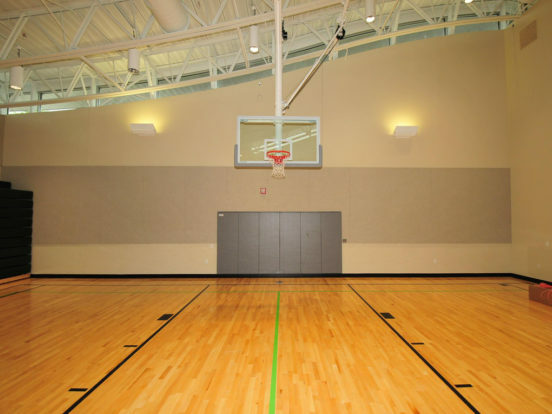 This facility addresses a need in the community for a dedicated PK facility for the district. The district was interested in leveraging MidAmerican Energy’s Commercial Incentives program. This program provides opportunities for end-users to incorporate energy efficient features in their building by providing incentives to offset the higher first cost of these systems. 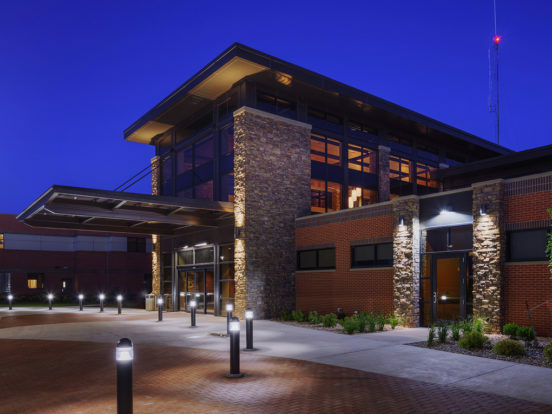 The owner, architect and Bluestone’s engineering team met with MidAmerican several times during the early stages of the project to determine strategies to achieve better energy efficiency in the facility. 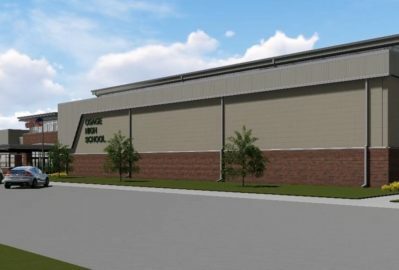 One strategy that was accepted by the District was to utilize a geothermal heat pump system for HVAC. Bluestone’s mechanical engineering team modeled and designed the well field for the system and specified all of the heat pumps and associated hydronic piping and controls.